Run at Cheltenham racecourse – normally in the third week of January at their Trials Meeting – the BetBright Cotswold Chase is run over a trip of 3m 1 ½ furlongs. 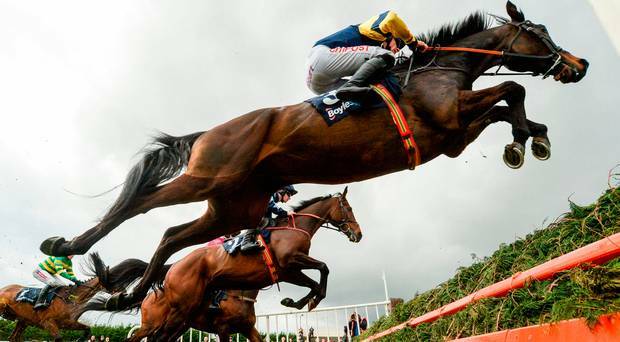 The race is deemed as another Cheltenham Gold Cup trial, but maybe only in name as the last horse to land both races in the same season was Looks Like Trouble in 2000, while Master Oats took both prizes back in 1995. Did you know ……10 of the last 11 Cotswold Chase winners were aged 9 or 10 years-old? Here at TQ we take a look back at past winners of the BetBright Cotswold Chase and give you all the stats that mater ahead of the 2019 renewal – this year run on Saturday 26th January. The last horse to land this race and then take the Gold Cup in the same season was Looks Like Trouble in 2000 and before that Master Oats in 1995 so this contest is probably in need of a bit of a boost if we still want to refer to it as a Gold Cup trial. It’s, however, also unlikely we are going to see that change this year when looking at the runners, but you never know! Frodon will be all the rage after his Caspian Caviar Gold Cup win here last month but this improving Paul Nicholls chaser, who is also the top-rated in the field, does have a few key trends to overcome. He’s yet to win over this sort of trip, plus 11 of the last 15 winners of this race were aged 9 or 10 – he’s still only a 7 year-old. The same age stat applies to the recent Welsh National winner – Elegant Escape – who is also 7, but what we do know about him is that he stays. He’s also yet to finish out of the top three from 10 runs over fences (4 wins) so looks sure to play a big part. My only niggle with him is that he’s run here at Cheltenham three times now (2 hurdles, 1 fences) and is yet to set the world alight 5-7-3. Minella Rocco was runner-up in the 2017 Gold Cup but hasn’t really built on that and not sure I want to be siding with a horse that’s won just one of his 13 chase starts. He has, however, had a recent wind op so could easily kick-on from here, but all that tells me is that he’s had issues in the past. Henderson is still to win this race but in Terrefort and Valtor he’s got big chances. The former is much better than his recent flop (last of 4) at Sandown and was a decent second in the JLT Novices’ Chase at the Festival here in March. He is still only 6 so should have more to come but since this race was first run in 1980, we’ve only seen one 6 year-old winner take the race (Cyfor Malta, 1999). On the other hand, Valtor is an experienced French import that heads over here late in life. This 10 year-old has had 50+ races in France and made a good impression when winning on his UK debut at Ascot – he’s interesting. In short, Frodon and Elegant Escape are sure to go well, but with stamina issues over Frodon I’d much rather be with ELEGANT ESCAPE of that pair, while of those at a slightly bigger price VALTOR could be the better value of the Henderson runners with Daryl Jacob picking Terrefort instead of Valtor – however, James Bowen rode Valtor last time at Ascot so there is every chance connections are just wanting to stick with the jockey that knowns him.